I love a feel good story where people come together to help each other and just be nice to one another. Well, that’s what happened to a young kid at Target last week or the week before. He is a fifteen year old kid with an interview for his first job. He went to Target to find a clip-on tie but they only carry regular ties. 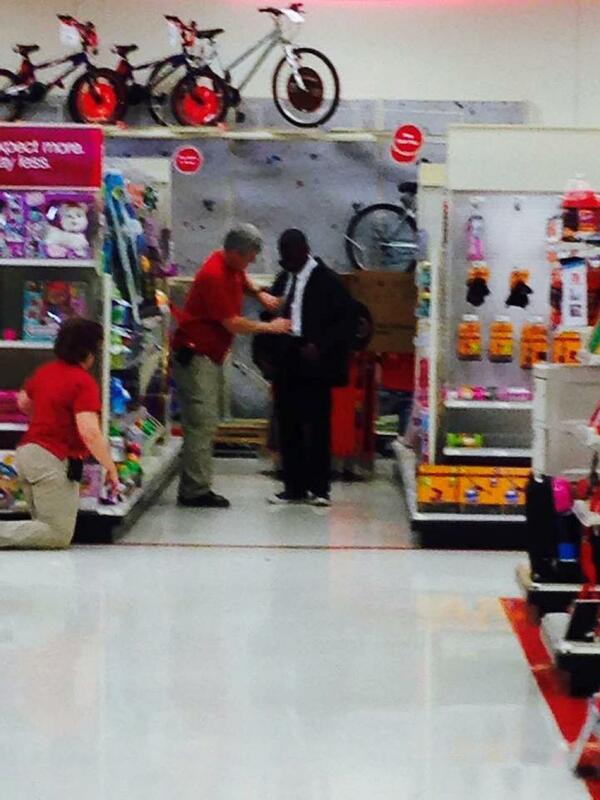 One of the male sales associates, with 2 other associates, got the tie and helped him tie it. All the while a customer, taken aback at their kindness, was videotaping the event. Her video went viral and it was even picked up on the local and then national news. All 3 sales associates talked to the teen and gave him advice on what he should do and helped him practice his handshake even. After I saw the expose I wanted to know if he got the job and he did! He interviewed with Chick-fil-a in a mall and they actually debuted him getting the job on tv due to all the buzz around him in Target that day. I instantly started smiling from ear to ear and then let out my usual, Awwwwww because this is awesome. Humans helping each regardless of race or age. Kids these days don’t listen to us older people for real but he did. Congrats Yasir Moore on your new job, we wish you the best in your future! Pics from abcnews.go.com and nydailynews.com. Reblogged this on Landon Knows Best.